First of all, a 1 minute rundown on WordPress. What is WordPress? If you haven’t used it before, you should. It makes creating your own website incredibly easy and powerful. WordPress is TOTALLY FREE and is being improved and expanded all the time. The absolute beauty of it though is that you can change the entire look of your website by simply changing the theme that you choose to run. All your content is still there, it just looks new and exciting! Oh and Google loves it for SEO purposes. Our recommended hosting provider, Bluehost, provides WordPress installs from the control panel, meaning you don’t ever have to touch code to get it up and running. Just click away and it’s done. They also offer unlimited storage at excellent prices, which as a photographer with heaps of images is a must for a large online portfolio. So back to the point – there are some incredible themes out there for displaying your photography portfolio online (and maybe even scoring a few jobs from doing so). These themes go over the top of WordPress and make it gorgeous. Believe me, it’s worth spending $60 to make your website look a million bucks. But there are literally millions of themes to choose from. So where do you start? Well, after using WordPress themes for my work for the past few years, here is my selection of the 3 best WordPress themes for photographers. They are all available from ThemeForest, the leading supplier of high quality WordPress themes. I personally use this theme on one of my websites, and have provided it for some clients as well. This is my theme of choice for almost any project at the moment, as it is so flexible and is constantly being updated with new features. Ready to check it out for yourself? Just follow the link below and then click the “Live Preview” to see it in action. If you are looking for a theme that you will not have to change for years to come, and yet will always remain current and modern, then this is THE choice. These guys just keep making this theme better all the time. Just follow the link below and then click the “Live Preview” to see it in action. 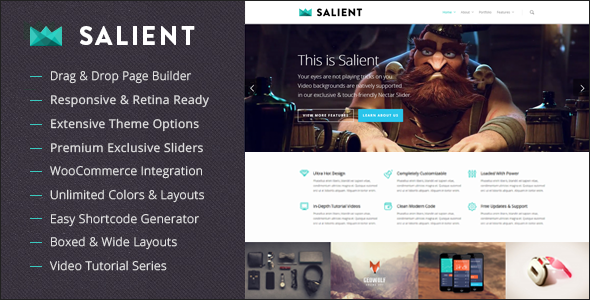 This WordPress theme really is another great example of a theme that can have endless looks and styles, all from the one place. Check it out for yourself using the link below and then clicking the “Live Preview” button. Looking forward to hearing any other suggestions on the best wordpress themes for photographers in 2014! Enfold just got another massive update yesterday, bringing with it awesome improvements for showing videos in backgrounds and all sorts of cool things. That’s what makes it my number 1 wordpress theme at the moment!! More enfold goodness arrived in yet another update – what a theme! 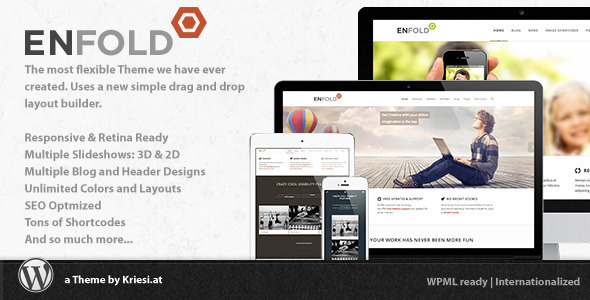 By the way, the site you are now looking at is running on Enfold as of mid-April 2014! Proof that we LOVE this theme!